at the gate called beautiful: what is real? 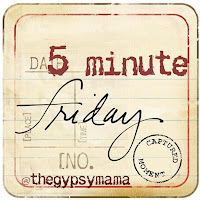 today for the first time i am linking up with the gypsy mama in 5 minute friday. i have read these on a couple different blogs i frequent and have always thought it would be fun to join in, but never have yet. well, today is the day! so many times it is hard to distinguish what is reality... fiction or fact? for me, a lot of times my emotions guide what i believe to be real. because i feel something strongly, i start to believe it to be reality when it actually could be a complete figment of my imagination. emotions are strong and they are great indicators of the health of the soul. however they are not great guides for reality. how often do we struggle with dwelling on these very things? i don't know about you, but i have a rough time when life gets stressful or emotions get charged to pull up out of the muck and align my spirit with truth and not be lead by what feels real in the moment. let us walk forward today asking the Holy Spirit to open our eyes to what is real and what is only our perception, and think on the things that align our spirit with His.